An earthquake measuring 5.9 on the Richter scale hit the Andaman and Nicobar archipelago at 8:21 am today. According to the National Centre for Seismology, the epicentre of the earthquake was in the Nicobar Islands region, at a depth of 10 km. There were no immediate reports of loss of life or property and Tsunami warning was not issued. Besides Andaman, states such as Gujarat, Jammu & Kashmir and Himachal Pradesh also received few moderate quakes in the past two weeks. The northeast India, being in seismic zone V, has experienced increased frequency of earthquakes, especially since February 2017. An earthquake measuring 4.4 on the Richter scale caused tremors in Banaskantha district in North Gujarat. Epicentre of the quake was 32 km North West of Deesa in the district. An earthquake of 4.3 magnitude rocked Assam at around 4.04 pm. The epicentre of the quake was located in the region of Darrang in Assam. The tremor occurred at a depth of 10 km. No report of injury or damage to property was reported. A 4.1-magnitude quake hit Ukhrul district of Manipur. While no damage to life or property was reported, the tremor was strong enough to create panic in the public. 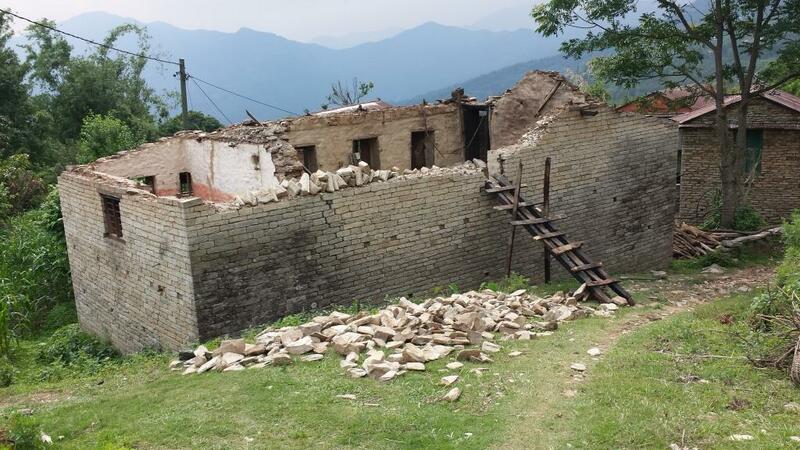 An earthquake of magnitude 3.5 on the Richter scale hit the Chamba region of Himachal Pradesh. The mild quake was enough to scare people out of their homes into open areas. That was the fourth earthquake recorded in Chamba in less than a month. A 4.8-magnitude earthquake hit northwestern Jammu and Kashmir and shook the northwestern parts of the state. No casualty or property damage was reported. Going by the latest geological mapping, the state may be hit by a major earthquake of magnitude 8 or greater in near future. A mild earthquake of 3.3 magnitude struck West Khasi Hills in Meghalaya at 12.20 pm. The depth of the earthquake was 10 km. A moderate earthquake measuring 5.0 on the Richter Scale hit Assam at 7:39 am local time. No damage to lives or property was reported. An earthquake of magnitude 3.5 was reported from Manipur’s Chandel district at 5.02 AM. The epicentre of the moderate-intensity quake was located near the Indo-Myanmar border. On February 24, a medium-intensity earthquake measuring 5.2 on the Richter scale hit the state. The epicenter of the quake was in Churachandpur district. How can this surge in earthquakes be explained?